Aquatica's Pamela freestanding acrylic bathtub is the height of contemporary design. It's strong, freestanding construction is supported by its built-in metal base frame and adjustable-height metal legs. The Pamela's premium acrylic tub thickness provides for excellent heat retention and durability to ensure your baths are hotter longer. It is extra deep, perfect for full-body soaks, and its ergonomic design forms perfectly to fit the body of its one or two bathers. 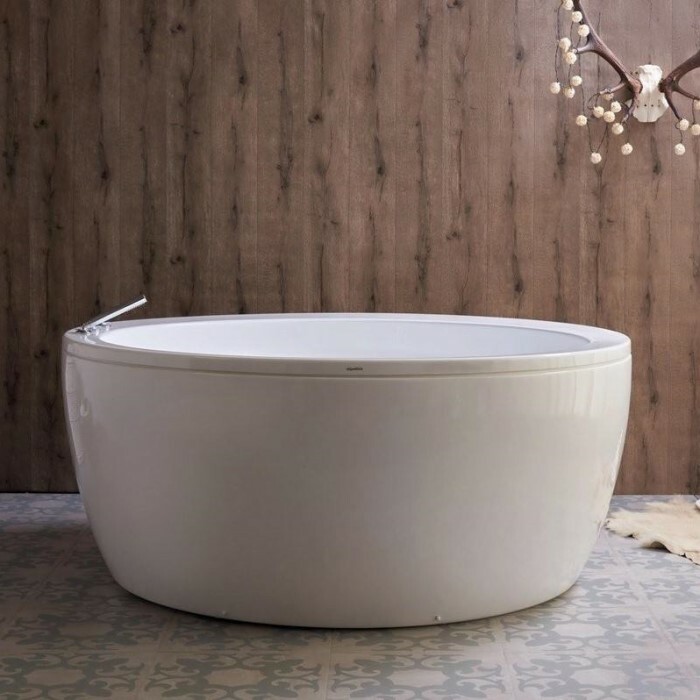 Bathtub Size: 68" x 68" x 29.5"
Bathing well: 43.7" x 43.7"
A lovely circular bath that is generous in proportion all round, Pamela gently widens from its 43.75" interior bottom to its 58.25" top. 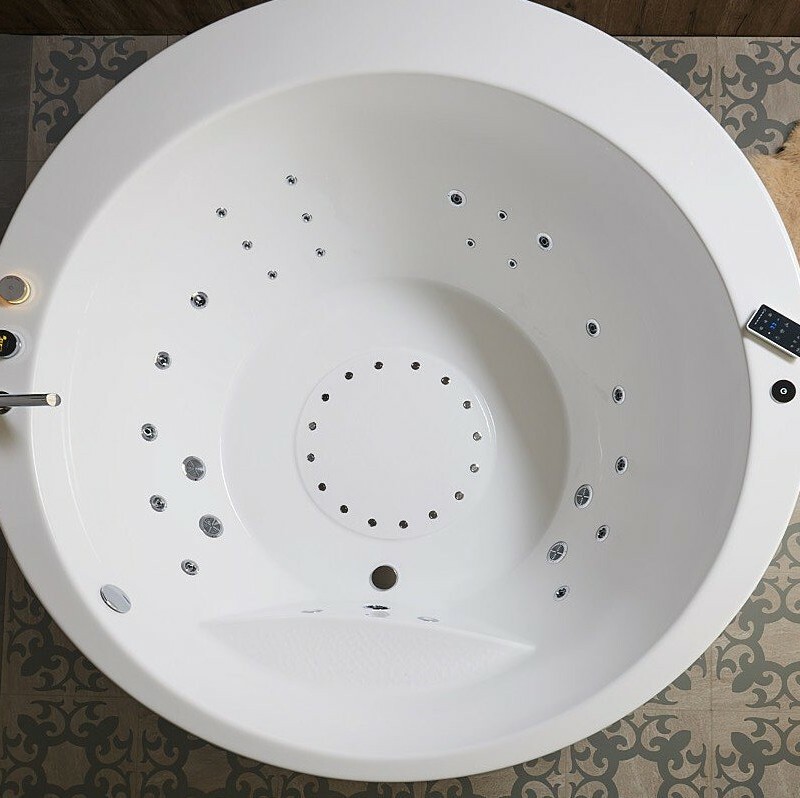 Not only is this bath spacious in dimensions, it is also one of our deepest bathtubs at 20.5", for maximum soaking pleasure equally suited to sharing or self-indulgent pampering. 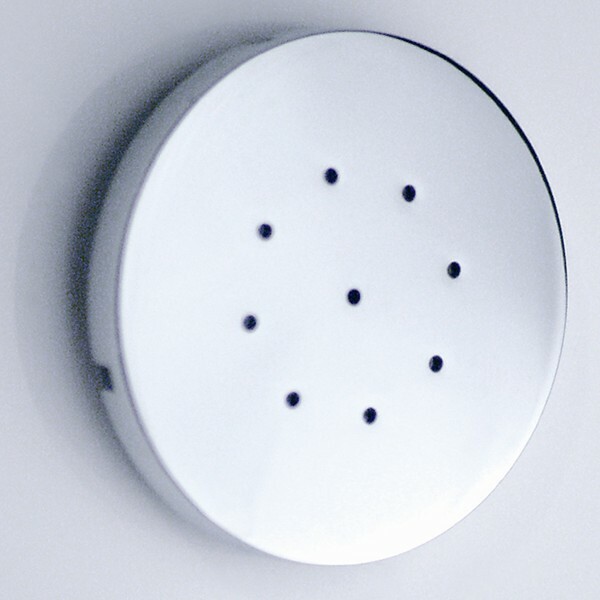 The subtly curving walls reflect our focus on ergonomic engineering to best fit the human form. Aquatica bath headrests are hand-made in Italy of state-of-the-art polyurethane gel with "shape memory", which lets the material to respond to any deformation, returning to the initial shape. The headrests could be attached and detached to the baths repeatedly. Moreover, any dirt can be be simply washed away with soap and water.